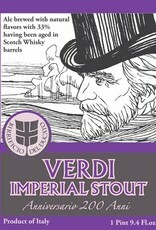 "Beer created to celebrate the anniversary of 200 years since the birth of Maestro Giuseppe Verdi, is obtained by assembling a part of Verdi Imperial Stout aged for at least 8 months in barrels of Whisky from the best Scottish distilleries, with a portion of Verdi Imperial Stout brewed using cocoa nibs and vanilla beans from Madagascar. 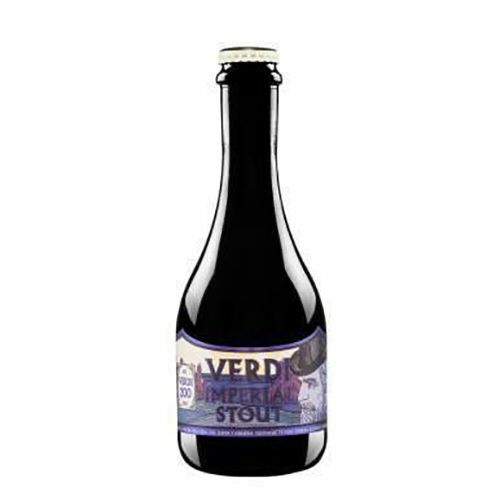 From this union was born a beer extremely rich and complex, heady and full of pathos. 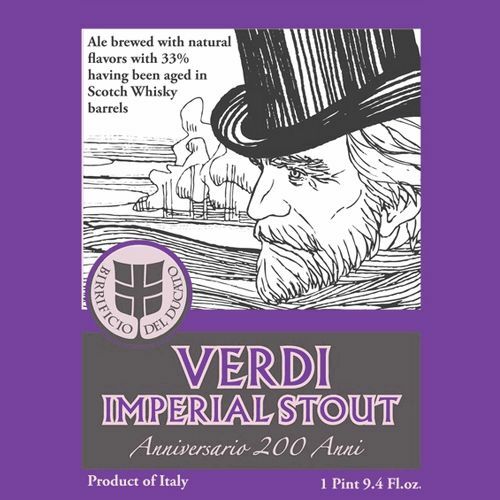 Brewed in honor of Il Maestro exclusively on October 18th of each year since 2013, the year of two-hundredth anniversary of his birth. Deep ebony colour, foam cap moderately persistent and cappuccino colour. At the nose hints of soft vanilla, wood and peat, roasting evident with decisive notes of cocoa. In the mouth it is sumptuous and velvety, strong in its roasting never arrogant but ready to enhance the softness of cocoa beans. 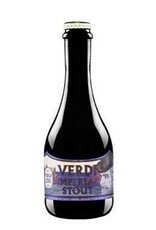 Emerge typical aromas of aging in wood which refer to the fascinating complexity of this beer."